The Ridley X-Night is Ridley’s pure cyclocross race bike. The X-Night has proven itself at the highest level of cyclocross competition, taking World Cup wins and dominating the biggest race series in Belgium – The Superprestige. Over multiple seasons, from grass roots racing to professional competition riders of all ages and backgrounds have benefitted from racing this cyclocross racing thoroughbred; the X-Night is an extremely light, super aggressive off-road machine that’s been designed for top competition, down to the smallest detail. Its geometry is aggressive for agile, quick-handling on a wide range of technical terrain and riding conditions, form tight dog-leg turns to greasy off-camber sections the X-Night allows you to ride at speed and in confidence regardless of how race organisers have set the course. The Ridley X-Night has been developed in close partnership with some of Ridley’s best professional cyclocross racers and this shows in some of the most user-friendly design features. The geometry of the X-Night ensures that there’s plenty of front triangle room for shouldering the bike while the reach on each size option stays relatively short and headtube heights remain low for an aggressive racing position on the bike. Ridley have flattened out the underside of the top tube to keep things comfortable when you’re running up steep, lose climbs with the bike on your shoulder and internal routing for brake and gear cables helps to prevent any unwanted build-up of grit and grime. The X-Night frameset is compatible with either mechanical or electronic gearing with special seals for mechanical cable routing; front & rear thru-axles help to ensure that disc brake rotors are always perfectly aligned with the calipers with no annoying brake rub. The X-Night thru axles also add stiffness between wheel hub and frame with a noticeable increase in steering precision from the fork. The Ridley X-Night features the new Ultegra R8000 11-speed mechanical groupset providing crisp, predictable gear shifts every time with braking taken care of by Shimano Ultegra B8070 hydraulic disc brakes. 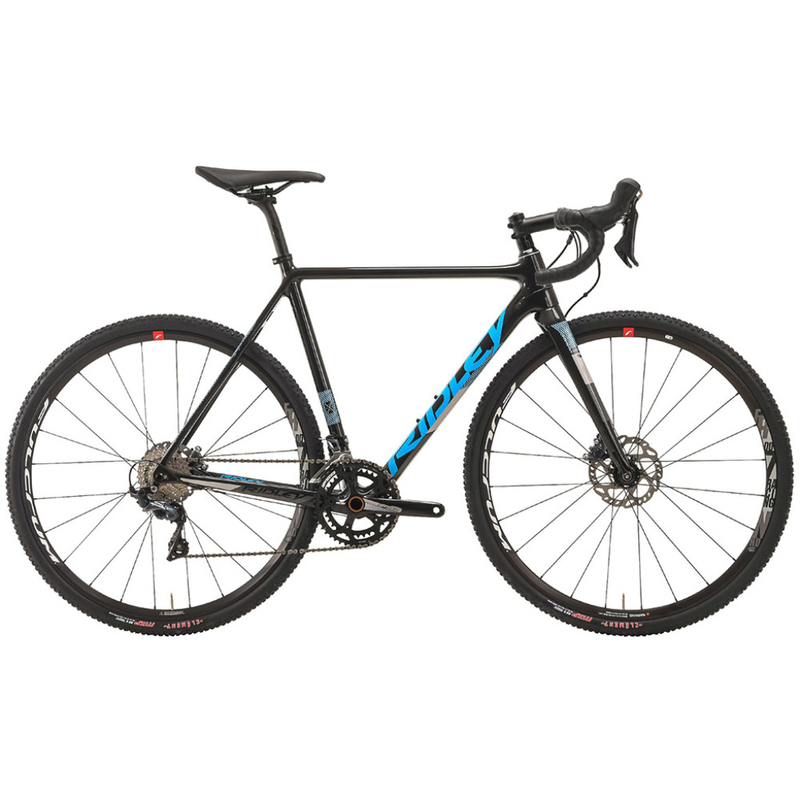 Ridley have specced lightweight, robust Fulcrum Racing 700 DB disc-brake-specific wheels with fast-rolling Clement MXP 33mm tyres which provide plenty of grip in the muddiest conditions.